This archive holds all posts form March 2009. Measurement expert Katie Paine will be in Toronto speaking at the EMetrics Summit this week. But she’s also said that she’d like to get together with Toronto’s social media community in a less formal setting. So, we’re organizing a special Third Tuesday Tweetup with Katie Paine. How is this different from a regular Third Tuesday? Well, we’ll have dinner in addition to our usual mixing and mingling. And instead of a presentation, Katie will suggest one or more topics that we can discuss as a group. For example, she’s already suggested we take a look at David Philips proposal for an online Advertising Potential Value. So, this session will be for those who want to dive deep into social media measurement. If you’d like to attend, you can register to attend on the Third Tuesday Toronto site. Please note that an admission of $20 must be prepaid to reserve and hold a spot at this event. We have only 40 seats. And I’m sure that we’ll be sold out. Our past experience has shown that an admission fee reduces the number of no shows to near zero. And that will make sure that no seat goes unfilled while others are on the waiting list. All the tickets for Mathew Ingram’s appearance at Third Tuesday Toronto were booked in less than an hour after the event was announced. Good news. We’ve found a larger room to hold the event. And even better news, the operator of the hall has offered to give us use of the room at no charge. So, we can keep this much larger Third Tuesday as a free community event. We’re moving the event to the Berkeley Heritage Event Venue, a converted church at 315 Queen Street East. They can accommodate 200 attendees in what looks like a great space. So, if you’ve been on the wait list and want to grab one of the available places, hop over to the Third Tuesday Toronto site to confirm that you’ll be attending Third Tuesday Toronto with Mathew Ingram. Thank you to the Berkeley Heritage Event Venue for making their hall available to Third Tuesday Toronto. When I announced Mathew Ingram‘s Third Tuesday Toronto presentation on How the Globe and Mail is using social media to connect with its readers, the session sold out in less than an hour. Clearly, there’s a lot of interest in what Mathew and his colleagues at the Globe are up to. And there should be even more interest in Ottawa, where the government, politicians, and interest groups live and die by the Globe’s coverage. So, I’m really excited to be able to tell you that we’ve snagged Mathew for Third Tuesday Ottawa on March 30. If you’re planning to be in Ottawa on March 30, you can register online to attend Third Tuesday Ottawa with Mathew Ingram. Thanks to our national sponsor, CNW Group, this Third Tuesday will again be free to the community. CNW Group covers the cost of our sound system, which is our biggest single cost. So, thanks to CNW for supporting Canada’s social media community. Social media has turned the news gathering and distribution world upside down. No longer must we sit mute as we read our newspaper or watch the television news, knowing that they’ve got it wrong but unable to voice our views. Now, we can easily post our views on a blog, Facebook, Twitter or any other social media publishing platform we choose to use. Others who share our interests will find us and, if they think we’ve said something worth reading, they can redistribute our content with a simple gesture on the platform of their choice. Not only can we talk about the news we receive, we can report it first hand. We’ve already seen citizen generated news sites like NowPublic spring up to take advantage of the fact that there are many, many more citizens who are originating eyewitness reports on events where the news media have yet to touch down. Mainstream media is rapidly being undercut as audiences move to online social media and advertisers realize that what worked yesterday may not be working today. On the other hand, let’s be honest that we all get a thrill if our content crosses over into traditional mainstream media and gets referenced there. That’s a simple acknowledgment that while most of us write for niche audiences who share our interests, an appearance in traditional mainstream media gives us access to a much larger audience. And, in most cases, mainstream media still carries with it a greater degree of authority in its newsgathering and reporting. So, what’s a newspaper guy going to do? Stick his head in the sand and hope that the user trends don’t make him a casualty before retirement? If you’re Mathew Ingram, you’re taking a different path. You’re embracing the new online social media tools and exploiting your incumbent advantages of authority and reach to try to build a new relationship with your audience in the new medium. And you’re helping (pushing) your employer, Canada’s newspaper of record, the Globe and Mail, to embrace new media and explore their potential. And, if you’re Mathew Ingram, you’re going to share your knowledge, experience and vision with Third Tuesday Toronto on March 24. The Globe recently appointed Mathew as their “communities manager.” He is well qualified for this position, having established himself as (one of) Canada’s most respected and widely followed technology bloggers and reporters. Since he took over as community manager, the Globe has engaged in high profile social media experiments – most notably using CoverItLive for live coverage of a subway shooting in Toronto, the Canadian budget and the visit to Ottawa of President Obama; the establishment of a public policy Wiki; and encouraging other Globe reporters to make it personal by using Twitter. This will be Mathew’s second appearance at Third Tuesday. 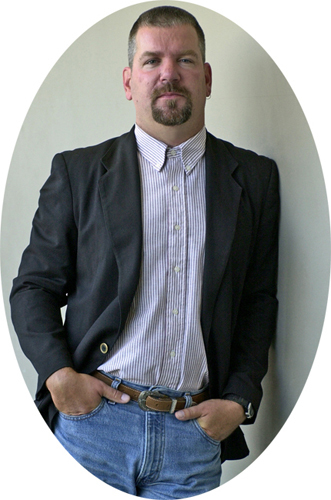 He helped us establish Third Tuesday when he agreed to be the speaker at our third event. Then, he was talking about the use of social media by reporters. And he was a great hit. I’m sure he’ll be an equally great hit this time – and a sellout. 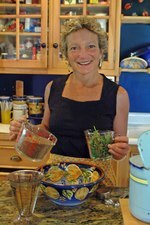 If you’d like to attend, you can register online at the Third Tuesday Toronto Website. The next Third Tuesday Ottawa should be of interest to anyone in the non for profit sector, government or others who want to understand how social media is enabling people to organize more easily and with lower organizational overhead. A panel of Kim Elliott of Rabble.ca, Joe Boughner from the Association of Canadian Financial Officers, and Phillip Todd from the Association of Universities and Colleges of Canada will tell us how they have used social media in their organizations. Along the way, they’ll cover pitfalls and the lessons they’ve learned. This should be a good session for us to learn from people who are exploring the potential of social media in the not for profit sector. 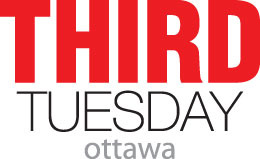 If you’ll be in Ottawa on March 23, you can register online to attend Third Tuesday Ottawa. Thanks to Joe Boughner for suggesting this topic and organizing it for us. Joe’s giving back to the community in a real way through this. He’s posted about the event as well. And, as always, thanks to Third Tuesday’s national sponsor, CNW Group. CNW covers the cost of the sound system for us – helping to keep Third Tuesday a free community event. I frequently speak about social media at conferences and workshops. 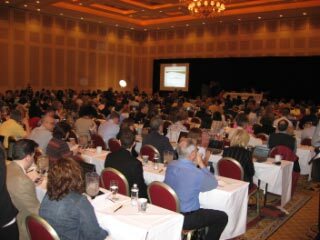 As a presenter, I always want to give participants at my sessions full value for their time and attention. An incident at a workshop I presented a couple weeks ago has been gnawing at me. In a nutshell: I was presenting a half day workshop on social media measurement. During the early part of the morning, I made a reference to Facebook as “a vast wasteland of empty content,” suggesting that Facebook is a great platform for connecting with people and signalling affinity for causes, but that I don’t see much serious content there. When we took our mid session break, one of the workshop participants approached me to tell me that she thought I’d sold Facebook short. She was quite annoyed. Clearly, my quick dismissal of Facebook as a platform for organizations to publish information ran counter to her view of Facebook. I thought about the participant’s complaints during the break and decided to address them after the break. So, when we reconvened, without identifiying the person, I indicated that it had been suggested to me that I’d given short shrift to Facebook. And then I explained my position more fully. Situation well addressed? Not quite. Not at all. Ouch. Time for some soul searching. I realized that my handling of the situation only made matters worse for the person I’d upset. Instead of giving voice to her concerns and addressing them in a balanced way, I’d only succeeded in restating my point of view. What should I have done? I should have called on the person to present her own point of view to the group – and then encouraged the group to discuss it. My views were no more important than what other people perceived. I’d already stated my opinion. If people wanted me to explain or restate, they could have asked me to do so during such a conversation. But in allowing that conversation to occur, I too could have learned. Instead, by my action, I imposed my view on the group and alienated someone who had a right to expect better. Lesson learned. Next time I encounter this, I’ll ensure that I provide opportunity to those who disagree with me to fully and completely state their views. I may not agree with them, but I can definitely learn from them. What would you charge for public relations services? I received an email through the CCPRF Website from a new public relations practitioner asking how he should charge for his services. I’d like to share his email and my response. Recently, I acquired my first client. I’ll be paid on a per project basis. The client wants me to work on a social networking website campaign I suggested. Basically, I’ll be putting together this small business’ Facebook and Twitter pages. I’m trying to figure out how much I can charge this business. Should I go with a per hour rate? If so, how much? Or a flat rate? If so, how much? I’m also trying to determine how long it will take to build traffic and interest to these social networking pages. I’m guessing it’ll take 4 to 5 months for any substantial growth. This company is looking at this campaign as a new way to attract interest to its website/store. I’d appreciate any thoughts as to how much I can charge. What you charge depends on the overhead you must carry (your needs), the value to the client (what you should charge), the budget of the client (what you may only be able to charge.) Bottom line, I’d start by asking for a fee equal to what I think the project will be worth the the client based on anticipated results. Then, if they cannot afford this, you can decide whether to negotiate an acceptable fee. How would you answer this question? 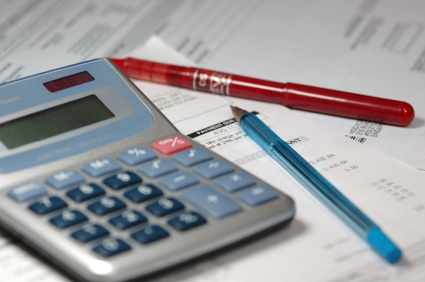 What’s the right way to charge for public relations services? This is cross-posted from the Canadian Council of Public Relations Firms‘ Weblog. I’m this year’s Chair of the CCPRF. And while the posts there are not as frequent as I would like, I think it’s worthwhile subscribing to it’s feed. When posts do appear, they’re usually authored by a CEO of a Canadian PR firm. It’s a unique aggregation of content. ProPR is authored by Joseph Thornley, CEO of Thornley Fallis and 76design. Thornley Fallis helps companies and organizations build relationships with customers, clients and stakeholders by integrating social media with public relations, creative design and word of mouth communications.